The current cross-sectional study examined whether internalizing (i.e. anxiety and depressive) symptoms and/or emotion dysregulation moderated the association between witnessed community violence and aggressive behavior. Participants were 180 predominantly African American adolescents (62% girls; M age = 15.87 years, SD = 1.19 years) from a high school located in an urban community in the United States. Approximately 95% of adolescents reported having witnessed at least one violent act during their lifetimes, with many endorsing repeated exposure to severe acts of community violence. Results indicated that emotion dysregulation exacerbated the association between witnessed community violence and aggression. A quadratic effect of anxiety symptoms also moderated this association, such that witnessed community violence was linked to aggression at low and high, but not moderate, levels of anxiety symptoms. In contrast, a quadratic effect of depressive symptoms was uniquely related to aggression, regardless of witnessed community violence. Directions for future research and implications for practice are reviewed. This research was supported by a grant from the Emory Office of University-Community Partnerships and by the Brock Family Foundation. John Cooley was supported in part by a training fellowship from NIMH, T32 MH015442. The authors would like to thank all students, teachers, and school administrators who gave their time to participate in this study. We would also like to thank Dr. Margaret Anton for her thoughtful feedback on the manuscript. 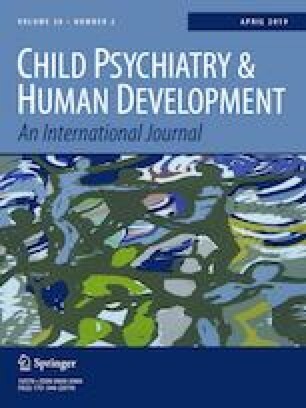 Finally, we are grateful to the many individuals involved with the Child and Adolescent Mood Program at the Emory University School of Medicine who assisted with this study. All procedures performed involving human participants were in accordance with the ethical standards of the institutional and/or national research committee and with the 1964 Helsinki declaration and its later amendments or comparable ethical standards.